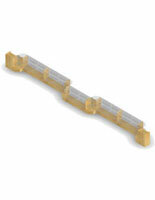 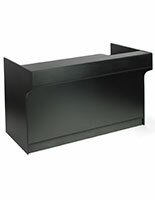 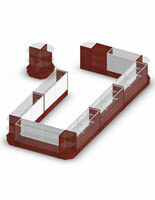 This retail display counter is a complete merchandising solution for stores and businesses. 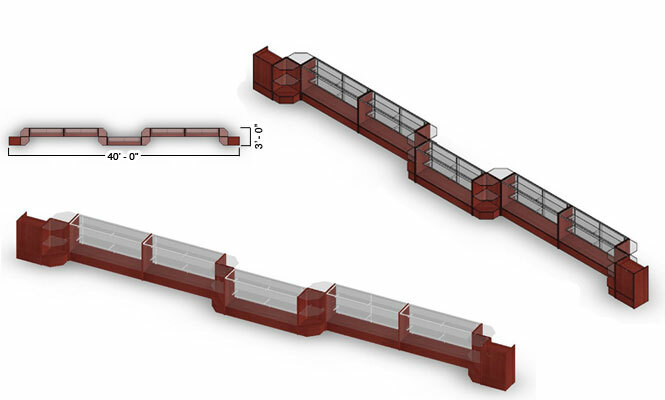 Running an impressive 40 feet in length, the glass showcases join together to create plenty of space for products as well as two cash register stands located at either end (a necessity given the length of the fixture). 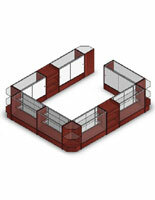 The retail display counter is constructed with cherry melamine that adds warmth to the interior decor. 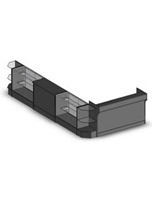 The glass tops and fronts, as well as the shelves, are all tempered for safety reasons. 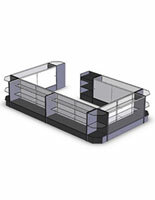 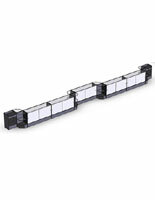 The shelving is adjustable in order to accommodate merchandise of different sizes. 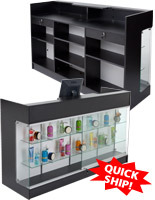 We recommend this retail display counter configuration for souvenir and gift shops, but any business that sell a lot of smalls could put these showcases to good use.